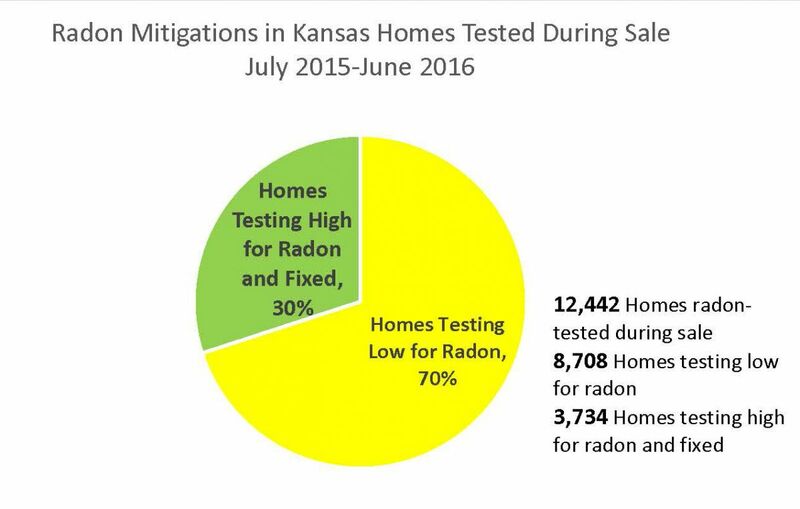 After five years of radon certification law in Kansas and two decades of radon testing data, the Kansas Radon Program in the Kandsas Department of Health and Environment has reviewed the results of more than 65,000 radon tests. 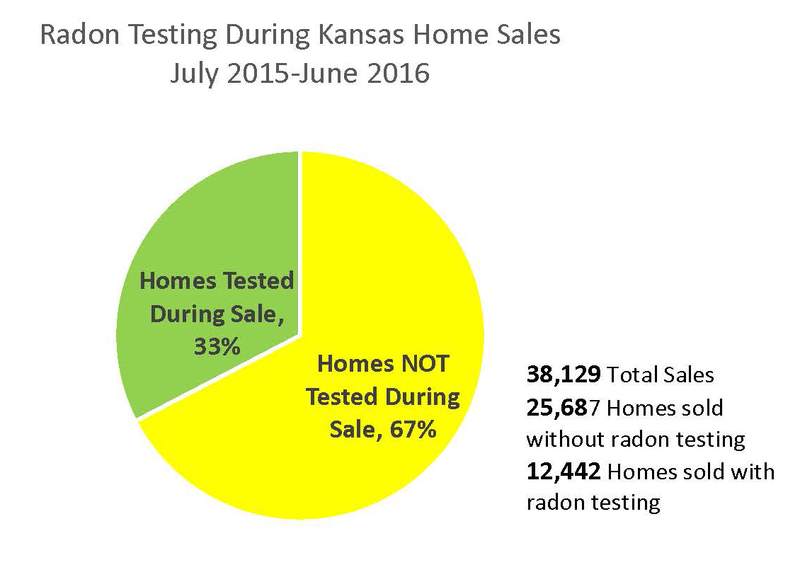 This research shows about 33% of homes sold in Kansas are tested for radon. Of those homes tested during a real estate transaction about 30% are high in radon and fixed through the installation of a mitigation system. The average reduction in a mitigated home in Kansas is from a high radon level of about 9 pCi/L to a radon level of about 1.2 pCi/L. 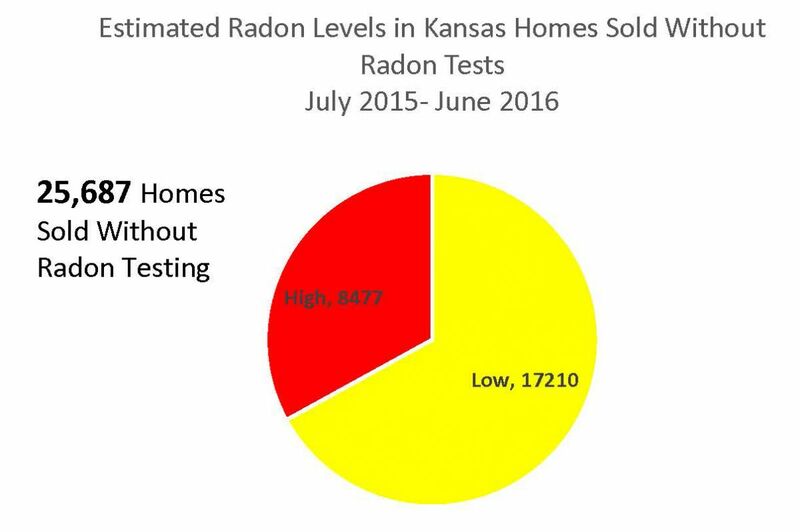 Of the approximately 25,500 homes sold in Kanas in 2015, 8,500 homes likely would have tested high for radon, but were not tested. Test your home today. More information on the likelyhood of homes testing high in Kansas by county can be found on the County Map.